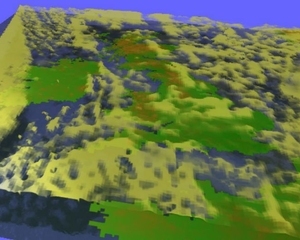 The Met Office Informatics Lab is investigating new techniques for visualising the weather forecast in 3D and we’re developing an exciting interactive web application that will take you inside a weather forecast model. You’re invited to help test the application and give us feedback. Come and see us at the RAMM in Exeter on 5th and 12th May. Richard has a variety of skills which he hopes to use in the Lab.